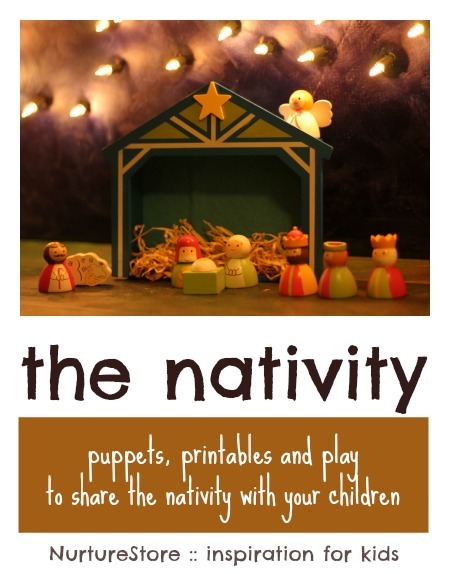 Share the story of the Nativity with your children, through puppets, printables and play. Bringing stories to life through play is a really good way for children to engage with the story, on many levels. :: using puppets and models to act out a story lets children explore the narrative and the characters involved. As they play and direct the story, they’re more likely to think about what it might have been like to be one of the shepherds sitting on the hill side. To imagine how Joseph might have taken care of Mary. To wonder at what it would be like to see an angel. :: this playful storytelling is also full of benefits for the children’s literacy. They learn about stories having a beginning, middle and end. They incorporate new vocabulary, and think up dialogue. :: they also meet the creativity and imagination associated with a story and are encouraged to move beyond the everyday to special lands, passed times and amazing happenings. And at this time of year, the story of the season for us is the Nativity. We have used our fairy land setting, and transformed it with wooden characters, to make Bethlehem. (Click through to see how we added the stars in the sky). We have read the Nativity story together both from the Bible, and from a version of it I wrote at school when I was five! And then, using our little set of wooden characters, the children have been acting out the story themselves – sometimes with very funny dialogue and twists in the tale. 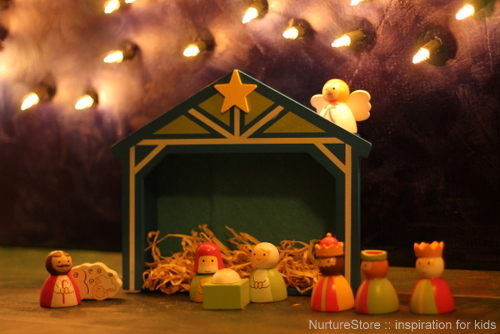 If you don’t have a Nativity set, there are some wonderful ways you can make your own. Happy Hooligans shares a lovely idea for a homemade nativity set. Frugal Fun 4 Boys has a DIY nativity too. 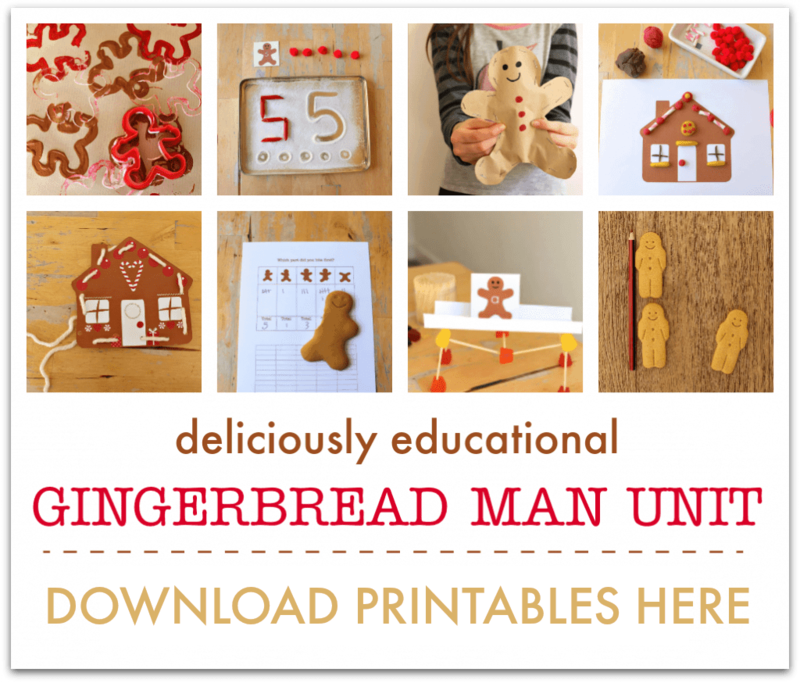 Made by Joel has a free printable paper nativity. 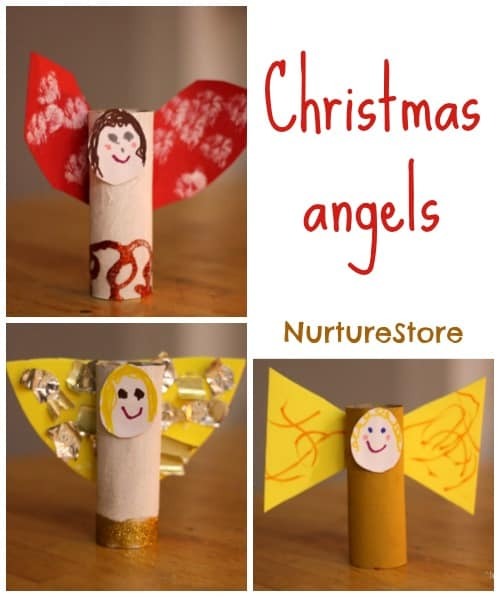 And here’s our idea for a homemade Christmas angel. Even if you’re not personally observing the Christian festival this season, I still think there is a lot of benefit of sharing beliefs and stories from other cultures and religions with our children. Learning about and joining in celebrations is such a fun and accessible way for children to learn about the world. (Just as we did with our Rama and Sita puppets at Diwali). But for an alternative storytelling, you might like our Winter Wonderland, where you can have frosty adventures with our winter pixies. Please could you tell me where you got that lovely Nativity set pictured in this article? It’s smashing! Hi Kate. It was from Tesco, a couple of years ago. It’s nice isn’t it. Hope you’re able to find something similar!